Between the man who buys cool clothes and the man who looks amazing in those clothes sits an unsung hero: the tailor. But how do you find—and befriend—the best sartorial consigliere for you? Badger a particularly sharp friend—or the suited guy next to you in the elevator—for his tailor’s info. Pay it forward later. And please, never, ever pay a dry cleaner to do alterations. And remember: Good Work Costs Good Money. Ask up front about the cost of alterations so you’re not surprised later on. 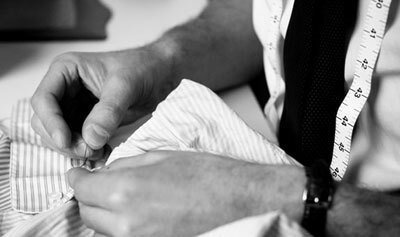 Seamstress Near Me - Bespoke Suits By Savile Row Tailors.